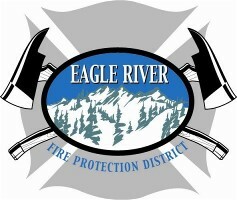 Eagle River Fire Protection District (ERFPD), covering 186 square miles in Eagle County including the towns and areas of Arrowhead, Avon, Bachelor Gulch, Battle Mountain, Bearden Meadows, Beaver Creek, Belden, Bellyache Ridge, Big Dipper, Brett Ranch, Camp Hale, Carterville, Casteel Creek, Chaveno, Colorow, Cordillera, Creamery Ranch, Dowds Junction, Eagle-Vail, Edwards, Gilman, Holy Cross, Homestead, Iron Mountain, June Creek Dam, Lake Creek, Lionshead, Minturn, Mountain Star, Eagle-Vail, Mountain Star, Pilgrim Downs, Red Canyon Creek, Red Cliff, Red Sky Ranch, Singletree, Swift Gulch, Tennessee Pass, Timber Springs, Ute Forest, West Creek Lake, Whiskey Hill, Wilmor, Wildridge, Wildwood, Wolcott and associated portions of I-70, Hwy 6 & Hwy 24. Eagle River Fire Protection District took over fire protection from the Avon Fire Protection District at a unknown date. Minturn Fire Department & Red Cliff Fire Department joined in 2002. Eagle River Fire Protection District is dispatched by Vail Public Safety Communications Center.